Are you looking for best webcam software that can meet your requirements beyond the usual? A webcam is a must-have nowadays which can be added to your Windows as a camera app. While using a regular Windows camera app will just help you click photographs or record videos, you definitely need more than that in the current scenario. From working as a security camera to clicking photographs in a wide angle with additional effects, a separate webcam tool is what you need as a substitute to your regular camera app. This will not just let you merge all web camera actions in one single app, it will also allow you to convert the audio and video output (AVI, MP4, WMV and more) while you can even save it to your desktop. The advanced apps will expose you to a lot more functions like running more than one chat sessions, video seminars, change camera settings (adjust brightness, contrast sharpness, etc.) using just one webcam. So, today we have listed the top webcam tools that will help you find the one that suits you the best. The latest version of ManyCam is 4.1 and is a premium webcam tool available free of cost. Studio and special effects are its specialties as it lets you animate your Skype calls, Yahoo video chat sessions. 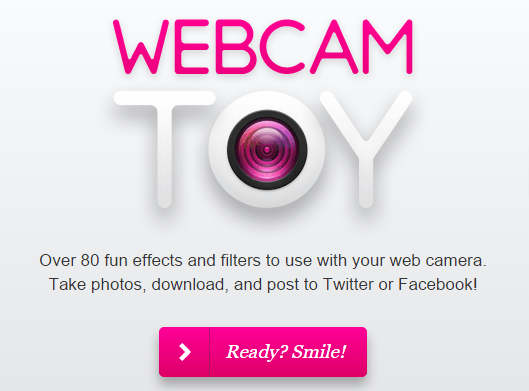 You can also use this Free Webcam with other popular platforms like MSN, Ustream and more. It is a unique app that adds that fun element to your usual video chats. There is a lot that you can do with this app like, faking voices, enhancing the audio quality, drawing right on the video pane, providing desktop view, operate multiple video chat windows with your image on one side, display your still photo, keeping a watch on the home surveillance systems and streaming videos. While the free version will allow you to use only a few features, the upgraded versions of the ManyCam Pro available for $49.95 and ManyCam Enterprise available for $149.95 will provide you enhanced options like more modifications in effects, video streaming with IP camera and more. 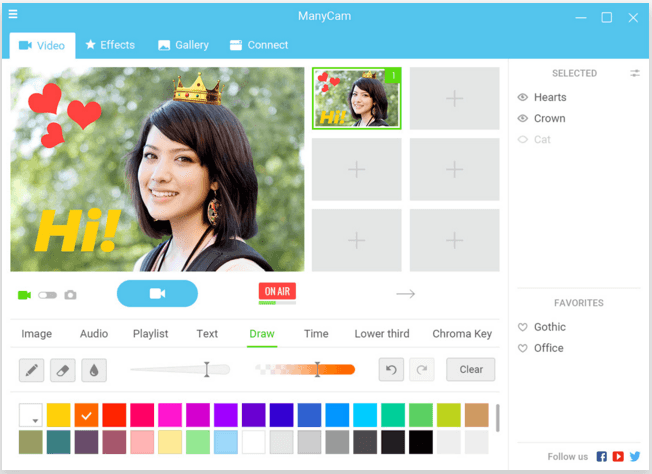 Additional functions like, Game Capture, YouTube Integration also make ManyCam stand out in the category. It is compatible with all Windows versions starting from Windows Vista, Windows 7, t0 Windows8.1 and even for the Windows 10 series. 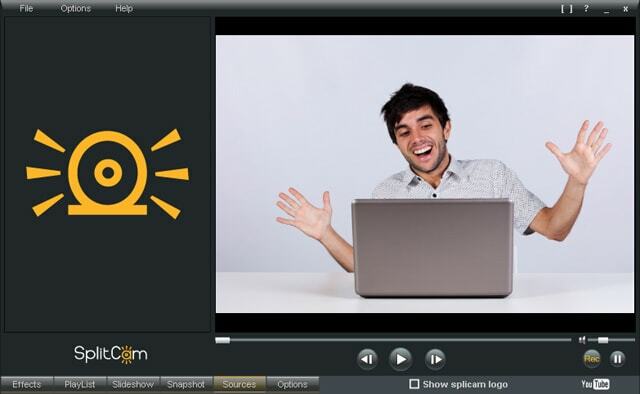 Augment your video conversation by adding playful effects in form of audio and video with SplitCam. This unique software even clones the same source in order to split capture two distinct applications. This software, therefore, converts your webcam to multiple cameras and passes this on to other different apps in general with its video splitting functionality. In addition to the tools that can help add effects to your video-chat, it also has additional features like video streaming. Using SplitCam functionalities you can also change the display resolution to the maximum enhancement much conveniently. It also offers other functionalities like lifelike 3D disguise, linking with different streaming origins, facility to choose to receive data from different streaming origins and more. SplitCam is also compatible with other messaging platforms like, Skype, MSN, PalTalk, Yahoo, Camfrog and more. The connections are limited to 64 clients while you can also share your videos (home-shot) through it. 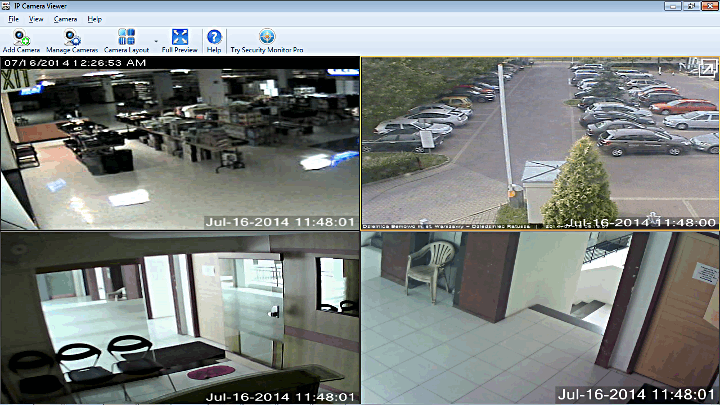 Yawcam is another webcam software which comes attached with an embedded web server and helps you capture images, send images, stream videos on spot and perform FTP upload all free of cost. The interface is instinctive and straightforward while you can also share your photos in different formats like jpg, png or gif. It offers many other features such as, you can capture numerous pics in just a few seconds, use the motion detector for surveillance function, schedule time and more. The tool can be password locked, while the photo and the video transfers can be time stamped for enhanced security. Yawcam is an excellent tool that offers an extremely user-friendly interface with such wonderful features. It is highly productive and is one of the best webcam software around. It is available for download for Windows XP, Windows 7 and Windows 8 OS. Logitech software is one of the best service utility ranges for its webcam. If you are using a Logitech webcam on your device, its software is a must have for the camera to function smoothly. It is imperative to note that the app is compatible only with Logitech USB cameras and hence, offers multiple features for your webcam to function at its best. With the help of its software, you can click pictures and perform video recording from the webcam. It allows you to record movies, click perfect images, configure settings (resolution, white balance, brightness, etc.) or even post photos and videos right on the social networking platforms. While you can also focus place and the photo on a certain item manually, you can also activate your webcam’s motion detector and adjust the motion detector settings by also tweaking the camera sensors. In order to use the complete benefit of the application, you need to keep updating the drivers intermittently to ensure the safety and protection of your webcam and to maintain its quality. 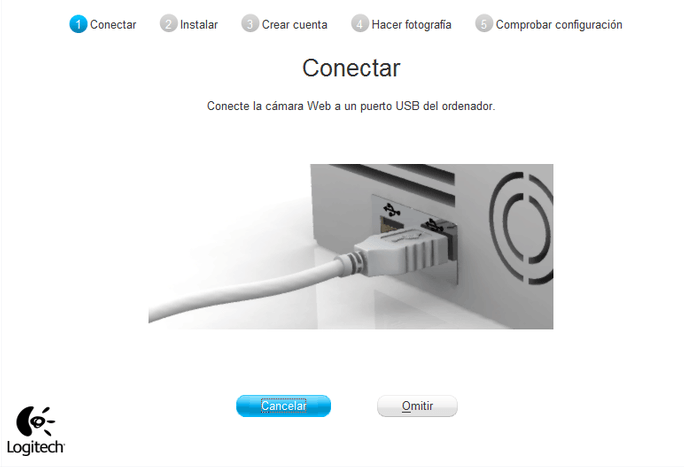 Logitech software is completely free of cost; however, as mention earlier you need to add its USB camera. From working as a surveillance camera to clicking pictures and recording video, CyberLink YouCam 7 does a lot more than that. It brightens up your otherwise mundane chats and captures moments with delightful effects. While it makes your conversations funny and engaging with the effects, it also keeps an eye on your home with its Surveillance function thereby, keeping you protected and secured. You can use the application for messaging platforms like Skype, Windows Live, Yahoo and AOL. The optical effects are easily accessible as the nicely arranged tabs under the software which are effective immediately. While you can apply some attractive scenery on the backdrop with additional effects and aid for enhanced HD video quality with lifelike visuals, the effects can overlap at times including a time-consuming installation procedure. decoration tool segment or the photo editor with a complete workspace. The software is available in two versions Standard and Deluxe with price tags of $34.95 and $44.95 respectively. The Standard version lacks a few features like, the decoration tool and the support for twin camera. iGlasses is only for your Mac PC and hence, an essential webcam tool for the operating system. 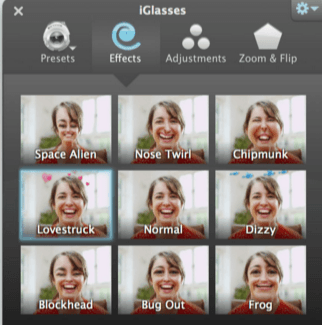 Same as the other webcam software in the category, iGlasses too offer additional effects that can be added to your live video chats. You can also tweak the images captured by the webcam. It offers an extremely straightforward and user-friendly interface where you can see your snapshot, edit them or even customize them right away. While it offers minimum features to its users, they have definitely not compromised on the crucial aspects that are beneficial for the users like, the user can link with the messaging platforms like Facebook and Skype deep down in order for him to utilize this cool webcam tool during your conversation. iGlasses comes with a free trial period, however, for the premium edition you have to pay $19.95 which offer updates absolutely free for life and some cordial assistance whenever you have any doubts or queries. Wait! This is not the usual webcam software but is instead a software that captures screenshots. However, you can certainly personalize the video generated by the webcam in many ways. 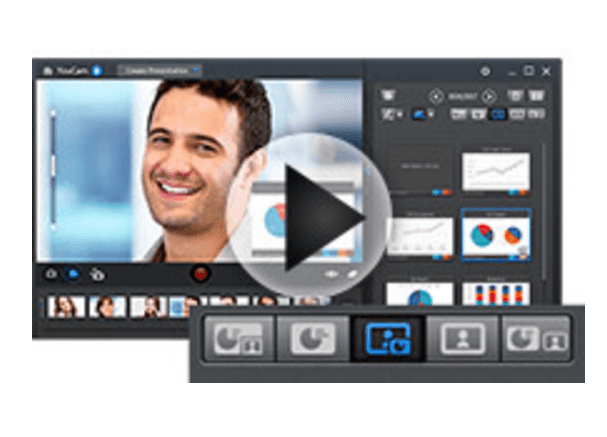 The Debut Video Capture software serves a multifunctional screen capture tool. This webcam software allows you to record videos in different formats like FLV, MPG, AVI, MP4, WMV and more. Not just that, Device Video Capture also lets you perform video recording from numerous other gadgets, for example, IP web camera and many others. In addition, it offers features like highlighting with the mouse, adding subtitles while preparing a video seminar, zoom to mouse and video modifications for your webcam. While you can use the application free of cost, you can also avail of the advanced features by subscribing to its premium version which is available at a cost of $49.99. Well, this application is not exactly a software for your webcam, but you can rather call it a tool for your webcam which is based on your browser and can be accessed from all platforms. Fret not, as accessing the Webcam Toy is as easy as opening a web page since you can open the tool interface with just one click of the mouse and press the other button to click photos. However, the tool offers limited customizing features such as, you can turn the image upside down or apply the dual mirror effect. Also, there is no video recording facility, so it allows you to only capture an image and nothing more than that. Overall, this is a basic tool that can suffice your need to urgently capture an image with the help of the Webcam Toy in the absence of a webcam and the adjoining software. It is an absolutely free application and hence, you should not expect much. ScreenFaceCam is a webcam software where you can video record the full desktop without using the video generated by the webcam which you can generally see on the right end with the sound transmission selected in 1080p quality. It allows you to capture video of the full desktop even with the video generated by the webcam along with the sound quality chosen in 1080p mode. Another feature of the instinctive software is that it lets the onlooker shield the video screen capture by floating the mouse over the screen capture in a way that it is invisible to other while your Facebook or Twitter page is open. 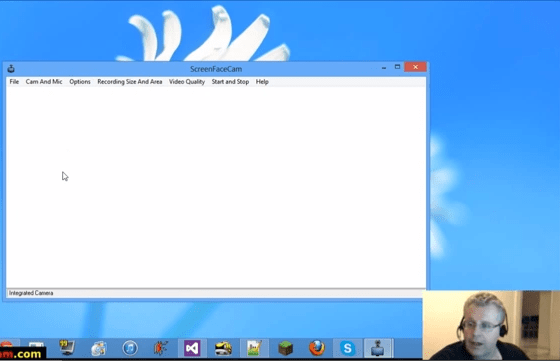 ScreenFaceCam is one of the best Windows tools that makes screen sharing simple and convenient. It is overall an extremely useful app that is highly responsive, fast, uncomplicated and convenient to use. However, on the downside, its features are limited with only screen recording and screen sharing facility. It is compatible with operating systems such as Windows XP, Windows Vista, Windows 7 and Windows 8.